House at Narang Colony Jankapuri Delhi. Contact Details : Contact The Authorized Officer : Mr.P B Naik 9767892174,011-28750003.28757660 in working Hours Only. 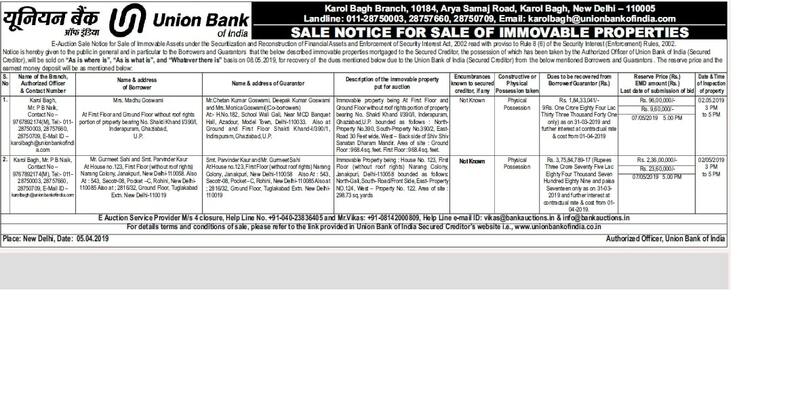 Lot details : Area of site 298.73 sq yds .Immovable property being House : 123 First Floor (without roof rights )Narang Colony Jankapuri Delhi. Bounded as Follows ; North:Gal, South:Road front side, East;property no 124, West:Property no 122, Area of site 298.73 sq yds. Inspection Details : Contact The Authorized Officer : Mr.P B Naik 9767892174,011-28750003.28757660 in working Hours Only.